...if it's horrible that our Christmas tree isn't decorated yet? We actually bought one two new trees this year and my plan is to return the one we don't love. The problem is that now that they're both up, I like them both. Of course. But I think I'm going to go with the flocked one because I love the look of it. Ornaments coming soon. ...if you own a pair of these leggings? If the answer is no-spend that $27 and don't even think twice about it. Best. leggings.ever - they're not see through and don't fall down! ...what you'd like to see as far as gift guides go? I'm only going to post 2 or 3 this year (next week), so any input on which ones are the most helpful or what you would like to see would be great! ...why truck drivers honk at women when they drive by? what exactly is the point of this? 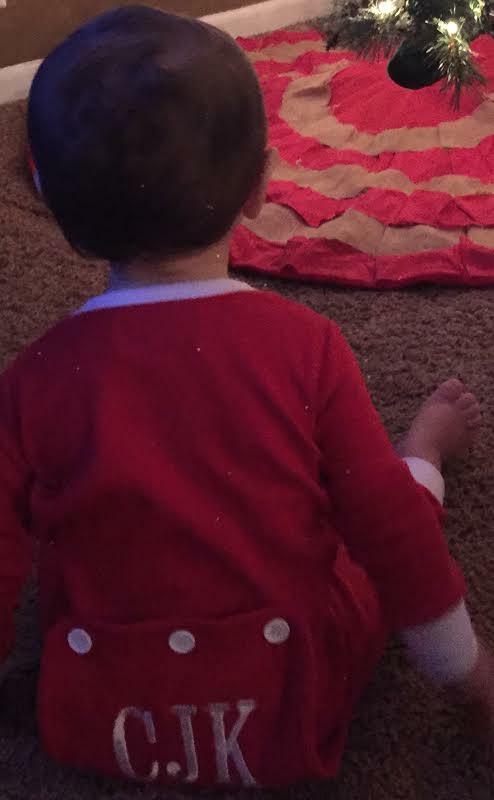 ...if you've ever seen cuter Christmas jammies in your entire life? Because I haven't. They are from Simply Made With Love and are SO soft and precious, I wish I could keep Cam in them all day everyday. They also have these Santa Sack's available (below) that you can get personalized. ...why I shouldn't add this watch to my wishlist? Sale. sale. sale. NEED. ...if I'm wrong for saying that it's officially Home Alone season? Billy doesn't understand this. To me, watching Home Alone during the holidays is like a weekly thing. I don't just watch it once...heck no. Far too good for that. ...to pull myself together! I ordered Camden's first birthday invites last night and started crying. What is wrong with me? 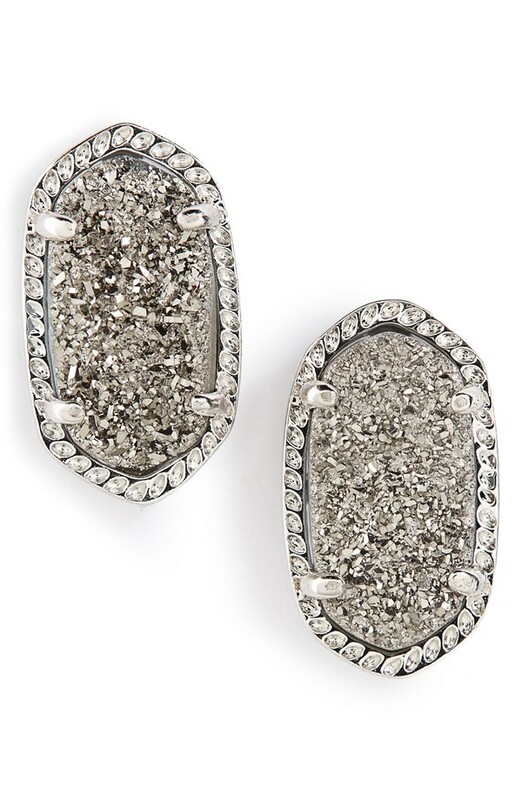 ...if you spotted these oval stud beauties marked down? I wear earrings way more than I used to because Cam doesn't pull on them (like he does with my bracelets! 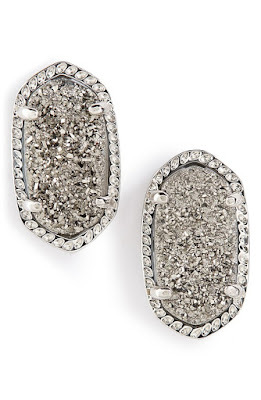 ), so these would be a perfect addition! Hint, hint Billy. ...how it's possible that Cam gets into everything (literally-we just had to put a lock on our oven door and add knob covers) but hasn't touched the tree(s) yet? Is it just a matter of time? He loves to look at them, but hasn't tried getting all into their business yet. Oh, I so pray it stays this way. What are you wishing you had all the answers to? I would love a gift guide for parents (mainly my dad, he's so hard to buy for!) and just a less than $25 gift guide. We pull names with my extended family and limit it to $25 each. I'm at a loss! Those pajamas are so presh. Absolutely LOVE! 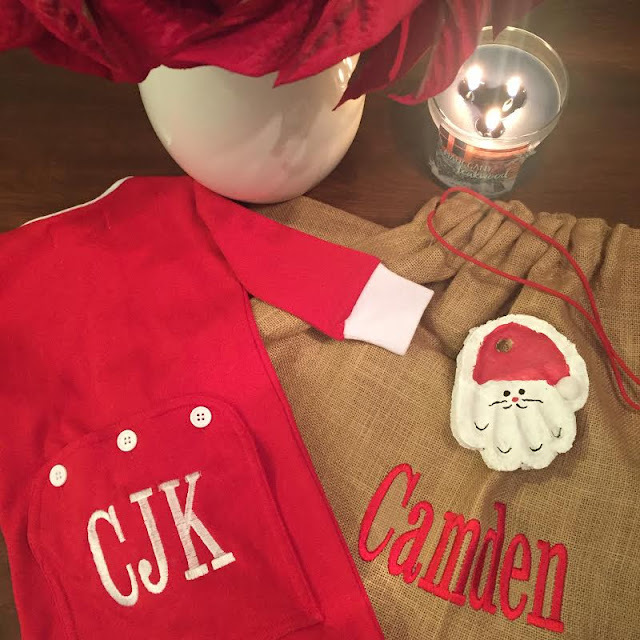 I smiled when I read about the Christmas pajamas! I haven't made a dent in my Christmas shopping, but I've had no trouble picking out Christmas outfits and pajamas for my little one. HA! They are too cute to resist. I also totally understand about the first birthday- I cried multiple times. It's totally normal. The years pass way too quickly. I just got an email from The Bump telling me that my baby is 50 weeks old. TWO WEEKS FROM ONE! I immediately teared up. It's insane, and I'm super emotional about it. You aren't alone! Gift guides for your girl friends $20 - $50! I love this! Once Thanksgiving is over it is 100% fine to decorate for Christmas ;) I am debating whether or not to decorate my place since I will be out of town for the holidays! I love his little jam's! :) A gift guide for dads would be super helpful. Those jammies are just adorable! I'm with you about Home Alone..anytime it's on, I have to watch! My 19 month old didn't touch our tree until we decorated it (almost 2 weeks after putting it up). Now all he sees are balls that need to be bounced and thrown around. 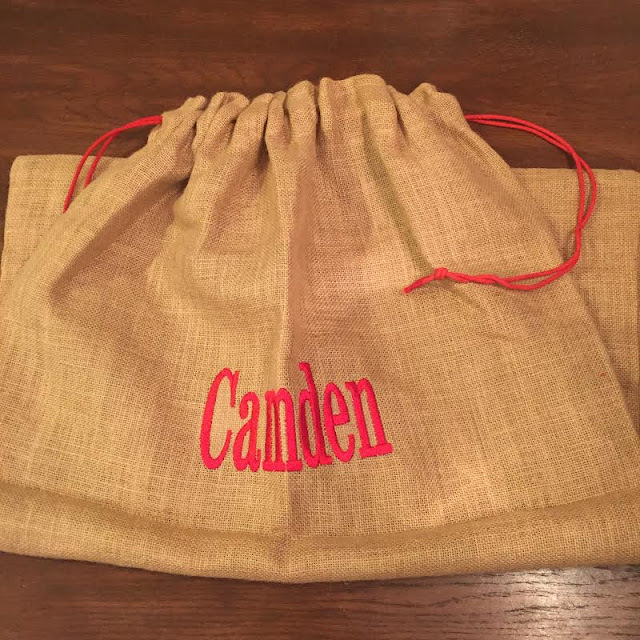 I'd say it's just a matter of time before Camden shows interest in it. Just remember, shatterproof ornaments are a boy mom's best friend!